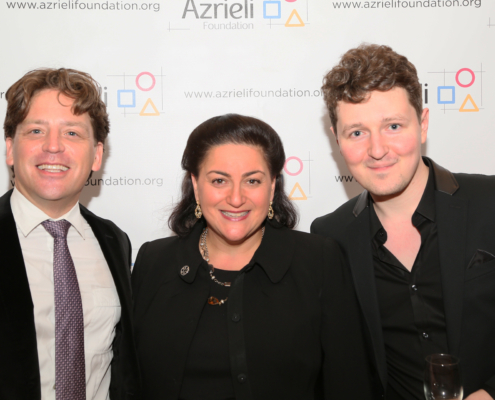 For the 2020 AMP Gala Concert, the Azrieli Foundation is pleased to feature Le Nouvel Ensemble Moderne and its musical director Lorraine Vaillancourt as our performances partner. 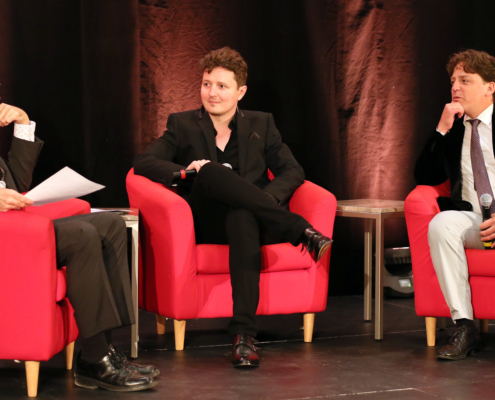 More information about this important event in the AMP prize cycle will be made available in the coming months. 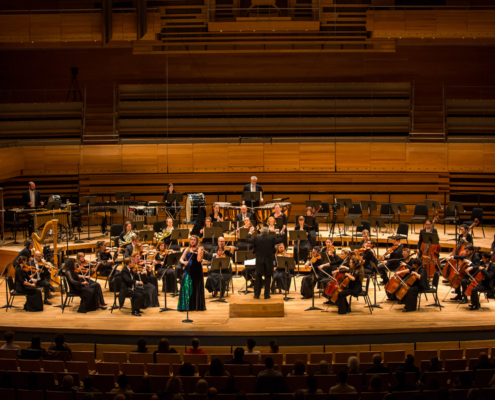 On October 15, 2018, Maestro Yoav Talmi guest conducted the McGill Chamber Orchestra for the AMP Gala Concert, featuring the winning compositions of Kelly-Marie Murphy and Avner Dorman. The concert featured soloists Sharon Azrieli (soprano), Lara St. John (violin), Erica Goodman (harp) and Rachel Mercer (cello). 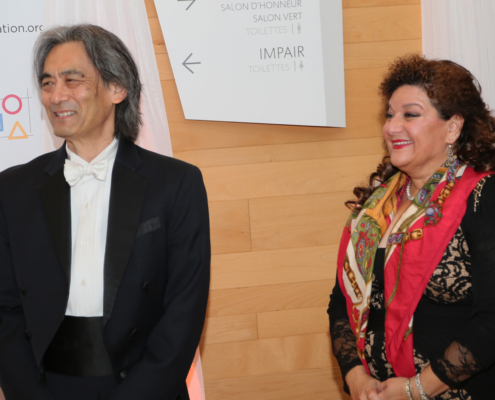 The concert was filmed by Prodcan Inc, and is available for viewing on the Medici TV platform. 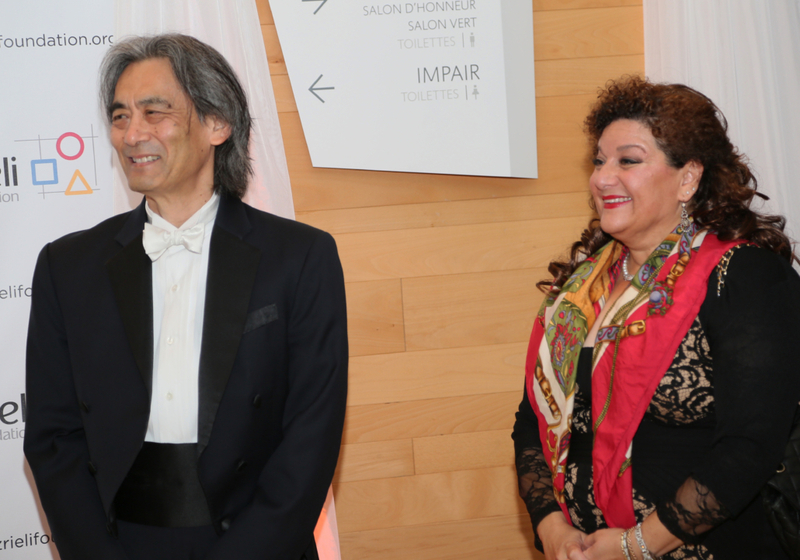 The inaugural AMP Gala Concert took place in October 2016 with the Orchestre symphonique de Montreal under Maestro Kent Nagano. 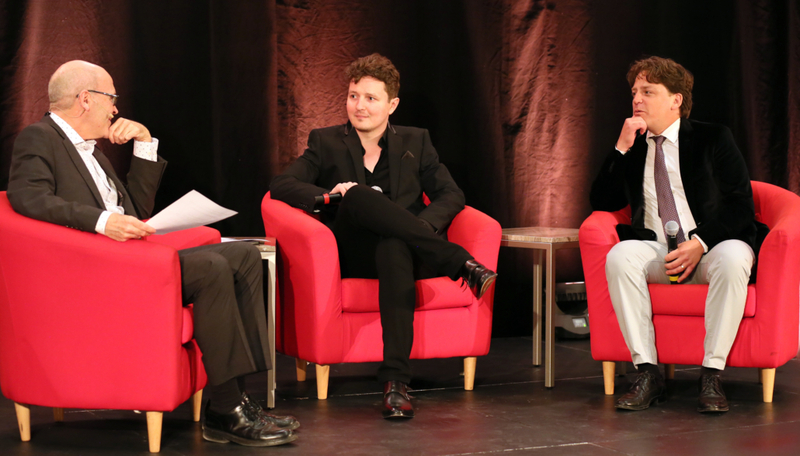 The winning compositions by Brian Current and Wlad Marhulets were given their world and Canadian premieres that evening. 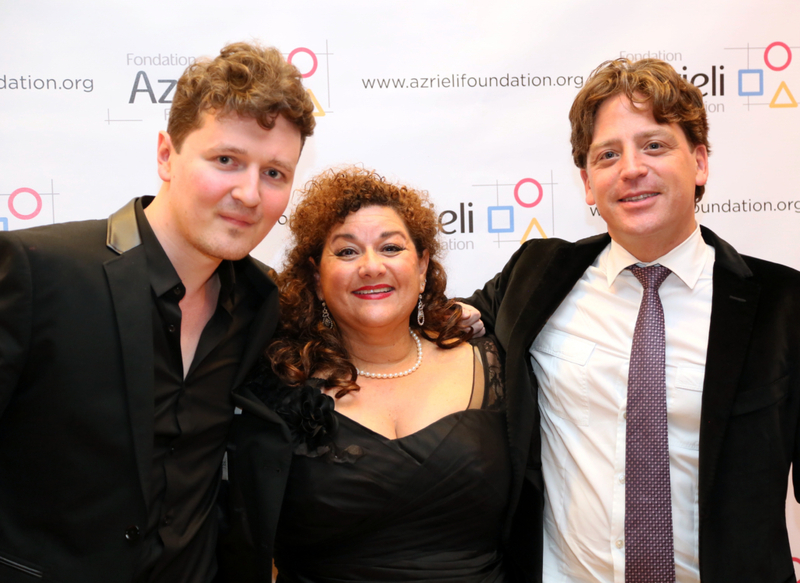 The concert featured soloists Sharon Azrieli (soprano), Fréderic Antoun (tenor), Alain Moisan (clarinet) and Serhiy Salov (piano). 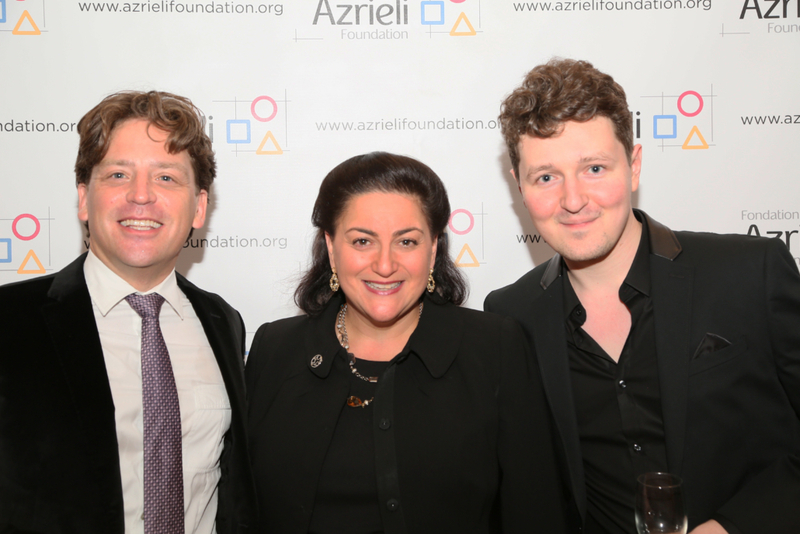 The Azrieli Foundation is proud to partner with the multi-award-winning Analekta label in the distribution and promotion of our Azrieli Music Prizes recordings. 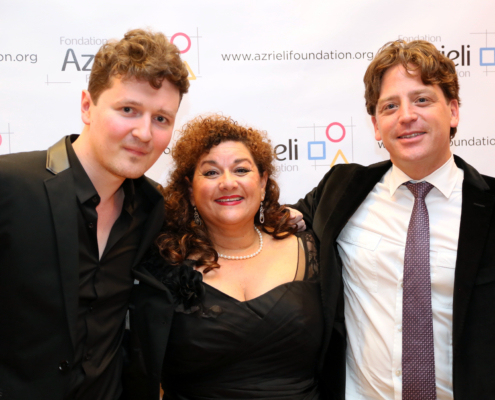 On October 5, 2018, Analekta and the Azrieli Foundation released the inaugural AMP recording New Jewish Music, Vol. 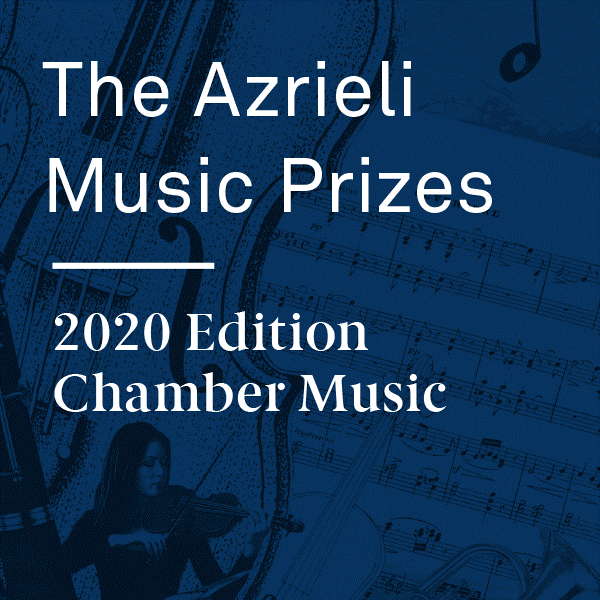 1 – Azrieli Music Prizes. 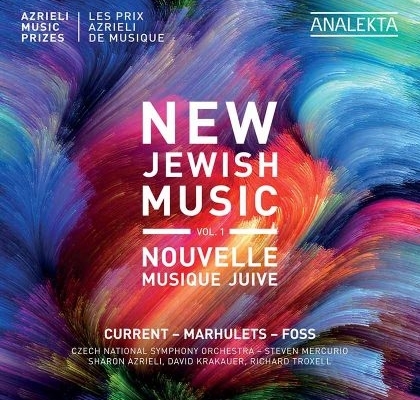 This new album features the world premiere recordings of works by composer Brian Current, winner of the 2016 Azrieli Commission, and composer Wlad Marhulets, winner of the 2016 Azrieli Prize. 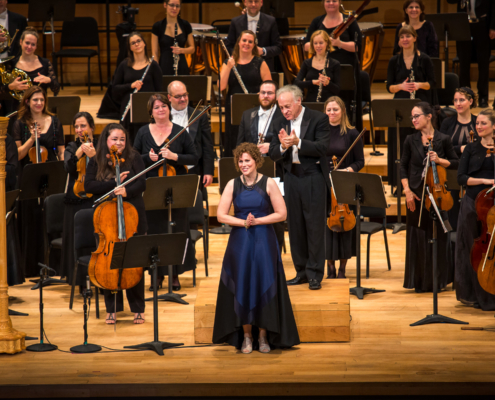 In addition, the album features Song of Songs for soprano and orchestra by Lukas Foss, in one of its first new commercial recordings in almost 25 years. 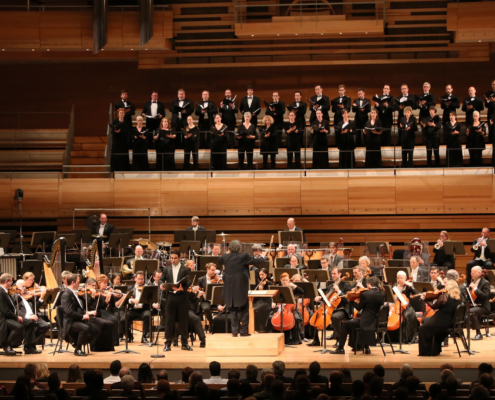 These wonderful works are performed by the Czech National Symphony Orchestra under the direction of Steven Mercurio, with soloists Sharon Azrieli (soprano), David Krakauer (clarinet) and Richard Troxell (tenor).